Repair Service maintains ball screw positioning accuracy. QuickTurn(TM) ball screw repair service cleans and reballs parts and maintains cross-reference database of part numbers by machine maker, machine model, part number, and axis. Service can be employed to build catalog of machine tool ball screws based on machine models and axes, where records are maintained of reverse engineered parts. Service also provides on-site training covering ball screw inspection and repair for maintenance personnel. (Fairfield, CT - January, 2004) Linear Precision Products, a division of RBC Bearings, offers "QuickTurn(TM)", a ball screw repair service out of its Walterboro, South Carolina facility. John Kinney, Manager of Business Development, cites very fast turnaround and reverse engineering capabilities as RBC's strong suits. "We've had many cases in which a customer had an emergency situation, drives here, drops off a damaged screw that needs to be cleaned and reballed for instance, and we actually repair it in the same day." Further reducing downtime, RBC maintains a cross-reference database of part numbers by machine maker, machine model, part number, and axis. If a customer has a machine that is losing positioning accuracy and he is unable to break the machine down to remove the ball screw for reverse engineering, it is likely that RBC already has the prints on file. 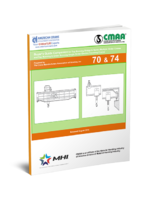 "Plus, if a customer wishes to build a catalog of his machine tool ball screws, all he has to do is provide us with the machine models and axis," adds Kinney. 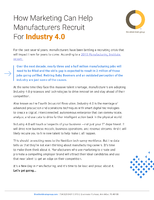 "We will reverse engineer the parts for him and maintain a record of it in our system. We also stock many ball screw replacements for popular machine tool models, ready for same-day shipping." As part of its QuickTurn Ball Screw Repair business, RBC provides on-site training covering ball screw inspection and repair for maintenance personnel. Additionally, RBC offers technical support to ensure proper ball screw installation. Linear Precision Products is a leading supplier of precision ball screws to the machine tool, semiconductor equipment, and specialty machine industries. 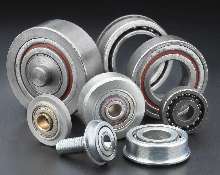 RBC Bearings is an industry leader in the development of precision bearing products for a diverse group of applications, including: aerospace, construction, mining and material handling equipment, mobile hydraulics systems, farm machinery, transportation equipment, automation and robotics, machine tool and semi-conductor industries, and a host of other industrial applications. 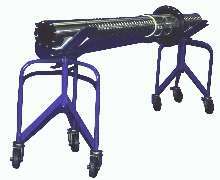 Ball Screws are custom-made in lengths to 64 ft.
Ball Bearings have solid inner rings. 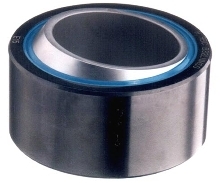 Spherical Plain Bearings do not require lubrication. 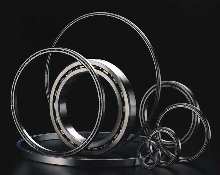 Self-Lubricating Bearings feature inherent damping qualities. 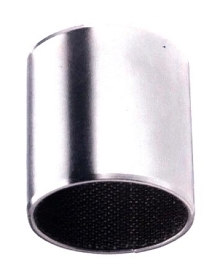 Bearings suit space, weight, and load constraint applications.